We cyclists are odd folk. 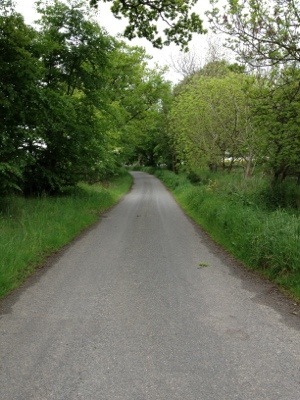 Where most people simply see a road, maybe even dismissing it as a farm track, we see possibility. The possibility of speed, of a fast descent, of a tough climb, of suffering. We embrace pain, it’s part of who we are. No, to us it’s not just a road. It’s so much more than that. This is one of my favourites. 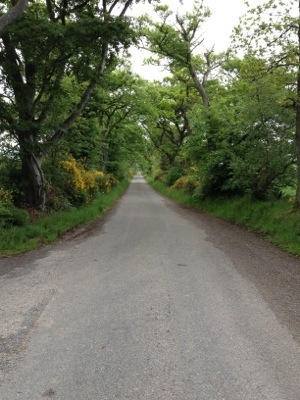 Nestled in the farm lanes between Kintore & Kirkton of Skene, it’s a mile long tree-lined climb. It’s not overly steep, but it feels relentless. Classic Scottish surface – grippy, with stones & potholes a-plenty. I come here when I want to test my fitness. November, when the winter training starts, February as the season beckons, then during the season once the racing’s underway. It’s a good measure of how well I’m going. As you say Tom, trade-offs. It was 10c again today, been like that for a week! Missing the sun we had in Italy…. Looks like a lovely road. What’s the gradient? Hi! It’s not overly steep – probably around 4-5%, but it’s just straight up!